...and how to really get the best haircut for you. One of the most repeated questions I get in the salon is "what is the best haircut for my face shape?" When asked, I often want to crawl into a hole and never come out. After I come to my senses, my answer typically has nothing at all to do with the technical shape of my client's face. 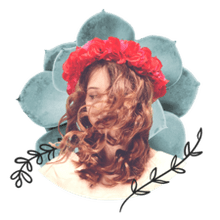 I browse a lot of hairstyling blogs, advice columns, and hair related websites that are forever telling you how to get the right haircut for your face shape. I'm not saying that the advice is wrong, but it's both too complicated and too simple to make sense to me. And, let me confess. No matter how many "how to tell what face shape you have" articles I've read, I have never been able to figure out what face shape I actually have. Nor can I define the shape of your face. When I was in hair school, three different instructors gave me three different answers when I asked them what face shape I have. Either I have a complicated face, or I'm not the only one confused. If you can figure out what shape your face is, I think the advice out there is an excellent place to start. In fact, I highly recommend that you read this article and this one on face shapes from About.com's Guide to Beauty, Julianne Derrick. After you consider your potential face shapes and haircuts comes the real work. Getting a great haircut has a lot to do with looking right on your face, but the shape of ones face is much more complex than circles, squares, ovals, or hearts. When considering all elements of your face, there's more to consider than, simply, a square-shaped face. A great haircut can minimize a large forehead with the right bangs, soften a pointed nose with rounded layering, or minimize a square jawline with a great length or face framing. Perhaps your lifestyle and personality make short hair a great option for you, or maybe you prefer to wear your hair styled up. If there is a specific facial feature that you'd like to soften, minimize, or enhance talk to your stylist about haircuts and styles that will help you achieve your goals to specific features in your face. Your hair's texture and thickness are, in my opinion, bigger considerations in a great haircut than the shape of your face. Someone with a round face and thin straight hair will require a different haircut than someone with the same face and thick curls. The way you style your hair is also a heavier consideration. A haircut is only the first step in achieving a shape to your hair that will enhance or camouflage your facial features; the way you style your hair has a greater impact. For example, styling your hair with volume at the crown can elongate a square or round face shape, properly shaped bangs can minimize a broad forehead, and a precisely styled bob haircut can enhance a great jawline. 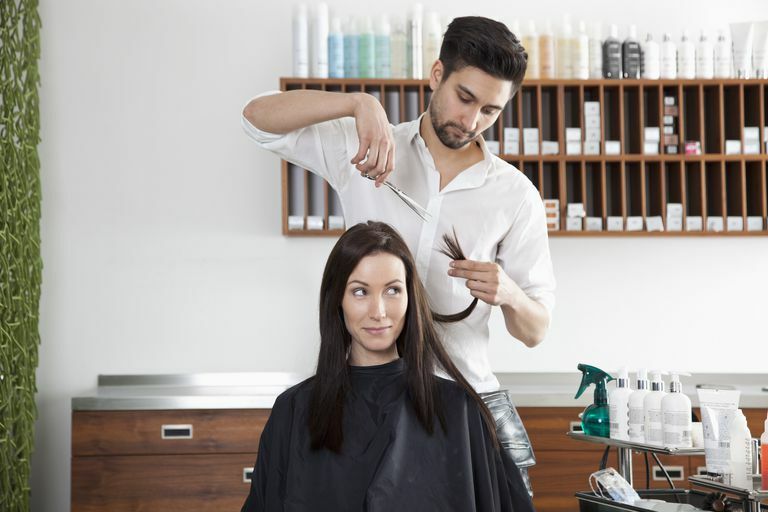 Your hairstylist can only do part of the work by giving you the right cut, shaping your cut with great styling will help you get the right look. Bring photos of cuts you like, but be specific about the elements of the haircut that you like. "I like how her bangs soften her forehead. I like how the layering gives her volume." Let the stylist know about your facial features that you would like to enhance. "I really like my jawline," or "I'd like to make my eyes stand out better." Discuss elements of your face that you'd like to minimize with your haircut. "I need a cut that minimizes the fullness in my cheeks," or "How can I widen the look of my narrow forehead." Ask for styling tips that will help balance your facial features. If you tend to have pointed features (sharp chin, a pointed nose, or high cheekbones) styling with rounded, soft lines and waves can balance your sharp features. If your face is more rounded (short nose, broad chin, full cheeks) sleek styling and blunt lines can be very complimentary. Don't put yourself in a box. Because your best haircut is a combination of your face shape, hair texture, styling preferences, and personality I think it's best to be open to ideas. Work with your stylist by being open about the things you like, and the things you're not happy with. Use styling techniques better show off your facial features. Experiment with different products and embrace your hair's natural texture for best results.